← On the road to my family reunion … what a religious experience! 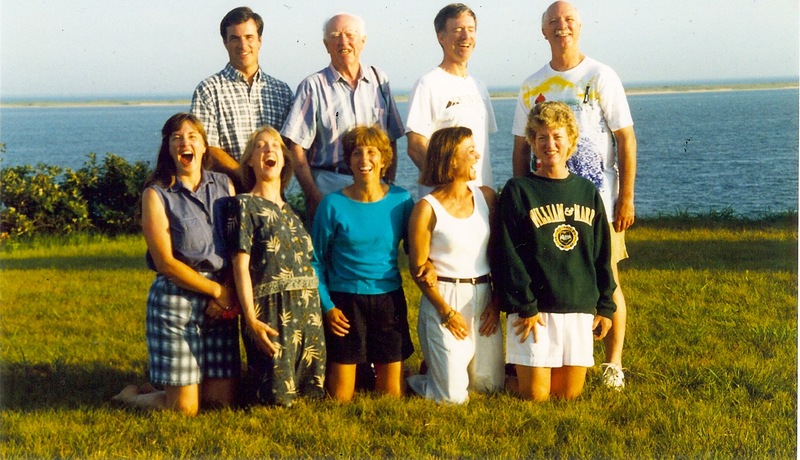 This week, I’m in Chappaquiddick on Martha’s Vineyard for my family reunion. I’m one of 8 children, who have produced 20 grandchildren, who’ve produced about a dozen great-grandchildren, so that makes for a whole lotta Londergans in one place. Every other year, we rent the same big, gorgeous house overlooking Katama Bay and we’ve been coming here over a period of 14 years. We still can’t believe they keep letting us come back. Our Chappy home away from home! My dad came to the first four reunions and he loved it more than anything, probably because he knew how happy it would have made my mom to have us all together. After my dad died in 2003 my youngest brother Tom & his wife Jean used his inheritance to help pay for the rental of the house each reunion, so nobody would be financially unable to come. I know that would have made my dad really proud. Since this is undoubtedly the only vacation I’m going to have in this Year of Blogging Recklessly, I’ll be writing about a beloved Martha’s Vineyard institution each day, and shamelessly exploiting my loved ones for your enjoyment. 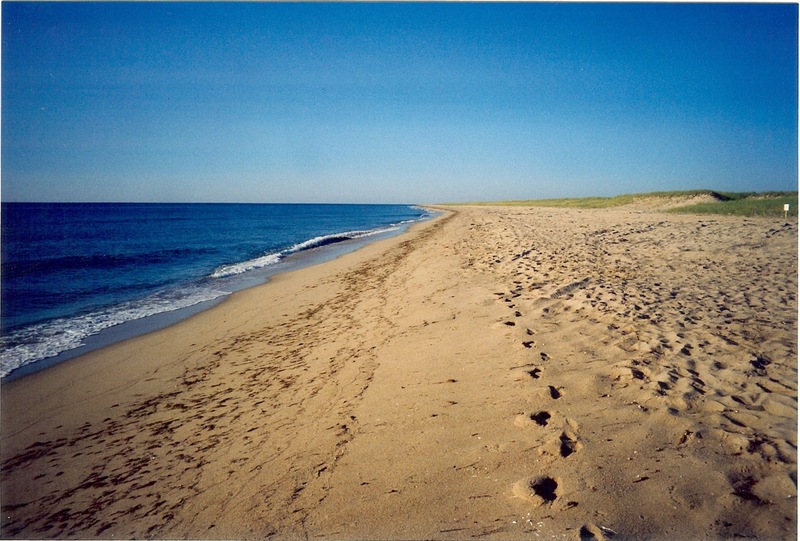 Cape Poge Wildlife Refuge, better known to us as East Beach, stretches for seven golden, sandy miles from Wasque Point on the south to the Cape Pogue Lighthouse up north. When I first visited Martha’s Vineyard in April 2005, Lulu and I would bike out to the Dike Bridge (yeah, that one), tiptoe across the wooden beams, and cavort on the beach that was completely deserted and pristine. 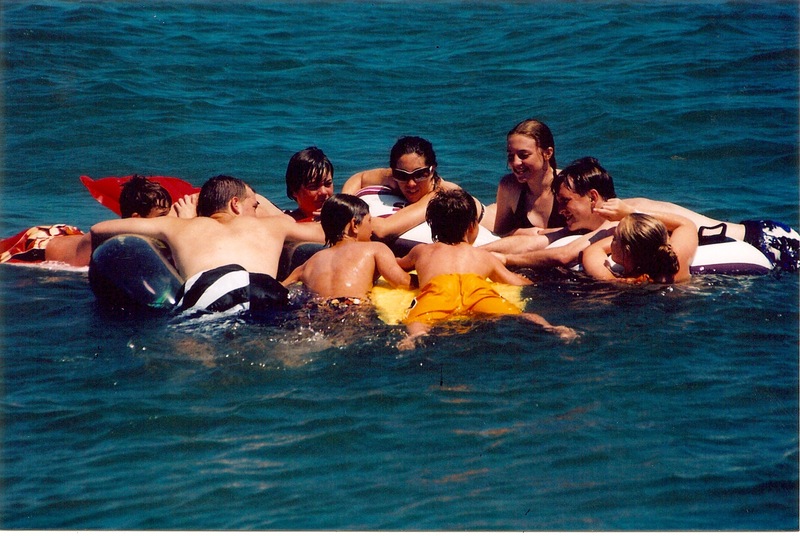 The miraculous good news is that, 15 years later, in the height of the summer, it’s still virtually empty…until our flock of 30+ Londergans hits the beach. If you come in early morning, though, you’ll be sharing the place only with a myriad of birds, and that is a sacred experience. Wait until noon and you’ll have to walk across ferociously hot slatted walkways from the parking lot (of about 12 cars), pass over the dunes, and plop your towel down before you can blast into the surf. East Beach has the best waves on the island IMHO (in my humble opinion) so it’s our go-to place for beach action. The cousins at East Beach- it's like a coffee klatsch, only wetter. One of the chief reasons Cape Poge remains pristine is that it’s part of The Trustees of Reservations – the preeminent preservation organization in Massachusetts. 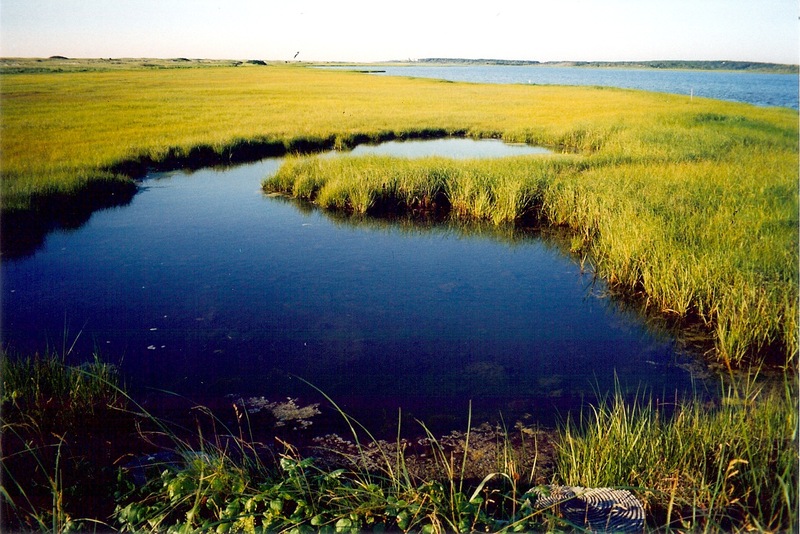 For 100 years, the Trustees have been acquiring, managing and conserving more than 100 special places in the very special state of Massachusetts. Perhaps I’m a tiny bit prejudiced, because I went to UMass, but this is a seriously beautiful state with a rich diversity of landscape, adorable towns and cities steeped in history, and oh yeah, that ever-entertaining accent. The Reservations include an amazingly varied assortment of treasures, from the tracks of dinosaurs to grand allees, the settlements of the Mohicans to the nests of endangered piping plovers, quaint farms to modern masterpieces. And the Trustees don’t just preserve these places, they thoughtfully make them available to the public, improve them, and try whenever possible to increase them. I’m so enamoured of the Trustees, this week I’m going to be giving to four different Reservations on Chappy (the jewels in the Trustees Crown, IMHO). These 100 places help us remember who we are and preserve a legacy for those who come after us. And trust me, there are a lot of cute ones coming after us! 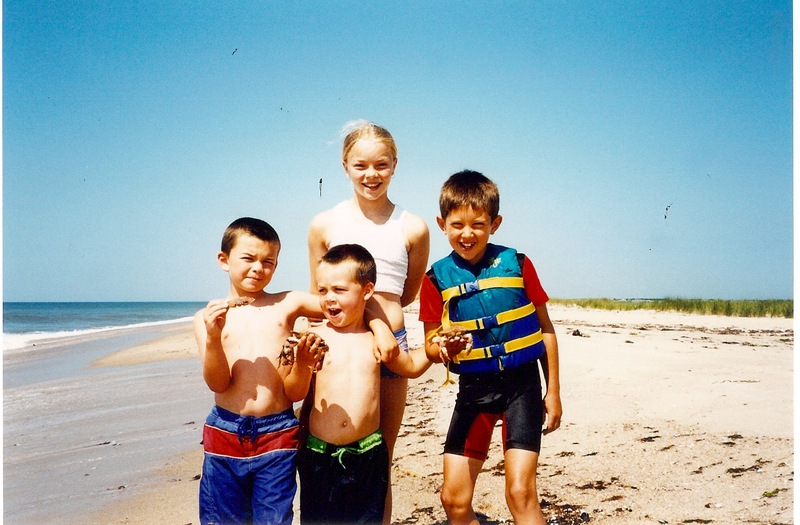 East Beachies: Michael, Brendan, Lulu & Mason, a couple years' back. To join me in donating to the Trustees of Reservations, click here. To join me in becoming a member… click here! There’s no place better than Chappy! Love getting our new Cape Pogue car sticker each year. What a lovely “family” post. Bon vacance Betty! Betty – what wonderful pictures- you’re all very lucky — our family keeps shrinking, how wonderful to have one that’s growing – enjoy them all!